troubleshooting Metro and Carrier Ethernet networks. Powerful full-featured handheld test sets available in single and dual port, these test sets supports both electrical and optical interfaces and feature a large touch screen interface for fast navigation. These test sets meet the latest requirements for IPv6, Y.1564, Y.1731, asymmetrical testing, 32 multi-streams, packet capture, network scan and much more. These test sets are ideal for for technicians installing and maintaining 10/100Mbps and 1G/10G Ethernet for Metro Ethernet and Campus networks. They include a full suite of features including comprehensive statistics, filtering, BERT, RFC 2544, traffic generation, PING/TraceRoute and much more. Rugged handheld test set with powerful features and smart navigation. Operates up to 7 hours. Single and dual port testing. 10/100/1000 Megabit electrical port and 100/1000 Megabit fiber port for single and multimode comes standard. High resolution TFT color screen viewable in any lighting condition. User defined test profiles and thresholds enable fast turn up of service. Advanced Ethernet diagnostics tools; Ping, TraceRoute, Blinking Port locator, Cable Length, Optical Power Meter and Wire Map test. Ethernet BER testing at layer 1/2/3, with error insertion. RFC 2544 benchmark testing including; Throughput, Latency, Frame Loss and Back-to-Back Buffer Capacity Frames tests with upstream and downstream modes. Comprehensive layer 2/3 statistics and filtering. Multiple stream traffic generation and analysis for QoS verification of services such as triple play. Generate configurable constant, bursty or ramped traffic layer 2/3 traffic for up to 500 stations. Comprehensive network monitor functions; HUB monitor mode, LASER watch, Pass-Through, Dual port pass modes etc. Loop-back time-delay and service disruption test. Multi-protocol support including DIX/802.3 SNAP. Configurable VLAN and QoS settings. Extended field testing with field replaceable, rechargeable Lithium Ion battery module. Before , during and after any network installation you will need to pre qualify and manage your cable, Cat5 and Fiber connections. In order to plan manage and maintain service and support levels, your networks need baseline and benchmark test data before during and after this process. 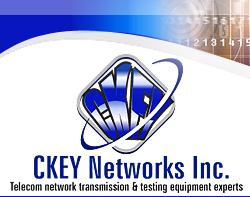 CKEY Networks testing tools offer easy to use testing equipment that will reduce the operating costs and complexity of installing , maintaining and managing your network. The tools we offer can be used in the R&D Labs, Outside plant, inter/intra office connections to LAN/WAN/ATM Fiber and VoIP network equipment by engineers and field maintenance personnel. Your IT staff's productivity and Network up time will dramatically increase using our tools. They will quickly identify, isolate, validate and remove Network Bottlenecks, misconfigurations, transmission errors, and voice quality issues with an escalated level of expertise and assurance. Capture, analyze and monitor live noise/interference on a DSL line. Forum, AIMS (INT) develops broadband testing solutions with clear advantages over comparable products. Our solutions are fully featured, completely integrated highly accurate, and easy to use. 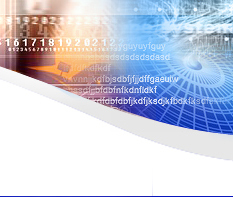 They are targeted at conformance labs; electromagnetic compatibility (EMC) labs; modem and set-top box (CPE) manufacturers; broadband telecom operators; and educational and training institutions. and wide area networks. From handheld test tools for field service technicians to enterprise-wide analyzers for network managers, FE has the best solution to meet your network requirements. Optellent Inc. - Optellent, Inc. specializes in test and measurement solutions for product development, manufacturing and field installation. OptoBERT, the best value in the industry for bit-error-ratio testing of fiber optic and electrical components, subsystems and systems. Optical and Electrical High Speed (up to 10 Gbs) BERTS Test Equipment. Telebyte Broadband Inc. - Local Loop Simulators for Measurement of DSLAMs loop reach, XDSL Modem testing, ADSL through VDSL2 performance testing. Universal XDSL Noise Interference Simulators from 100Hz to 36 Mhz. 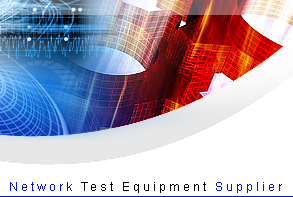 Wilcom Inc. - Wilcom test equipment for Network Transmission Testing Analysis & Troubleshooting. 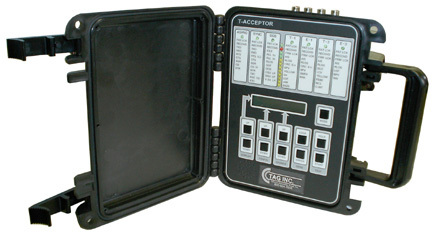 Test line responders, Transmission Measuring sets, Cable Test Equipment, Artificial Line & Cable simulation Test Kits. Full line of Fiber Optic testing equipment for installation, troubleshooting and maintenance on LAN/WAN/Metro and Long Haul fiber optic networks.